As I mentioned in our article on reduced NFA wait times, NFATracker is an awesome resource for our community. These guys collect and display various ATF paperwork approval and NFA transfer information. 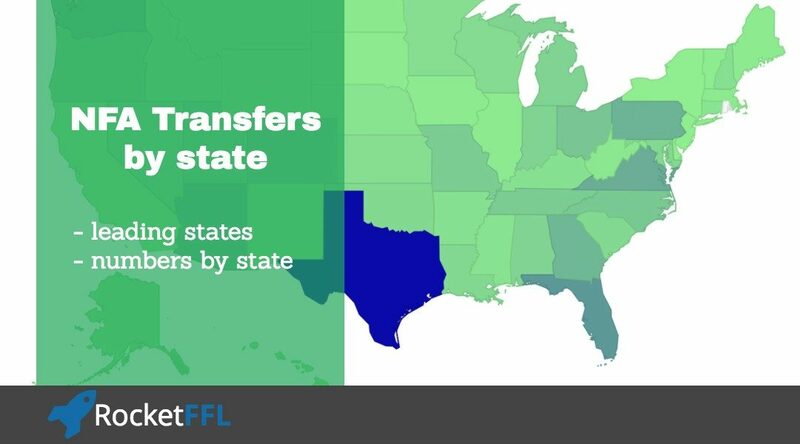 One of the neat pieces of information they share is the distribution of NFA firearm transfers by state. Here’s a hint…there’s a clear leader! Which State has the Most NFA Sales? Texas has the most NFA firearm sales…by far! 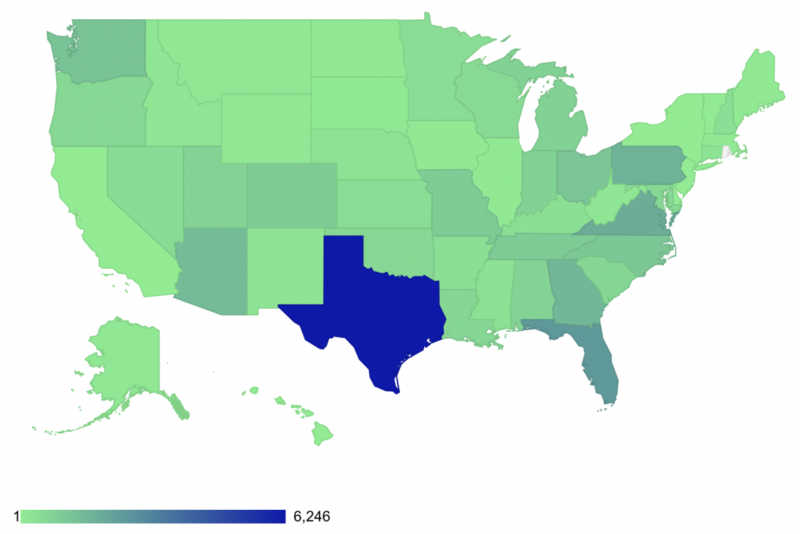 The legend on the map goes from green to blue but Texas is so far in the lead that the map shows light green to dark green and then a giant jump to blue. With the recent news of drastically faster ATF processing times for NFA paperwork, this might be the PERFECT time to get your FFL.